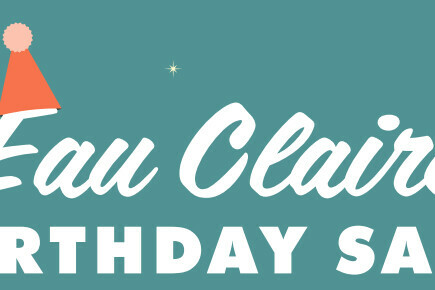 Eau Claire's Official Birthday is March 19 and we're turning 147! March 16th-19th, receive 20% OFF ALL "Eau Claire" apparel, art, things, and books and 15% OFF everything else at The Local Store PLUS get a FREE I Heart EC sticker with any purchase (while supplies last). Join us at The Local Store and Volume One Gallery for four days of sales & events celebrating our great city.